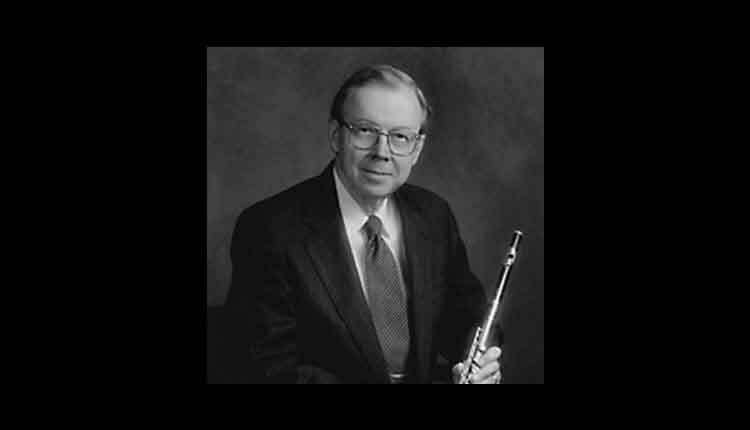 Richard Hahn is Professor Emeritus of Flute and former Director of the Hampton School of Music at the University of Idaho. He began his career as a flutist with the Milwaukee Chamber Players and was a featured soloist with the Fine Arts String Quartet. His activities in solo and chamber music have earned him a national reputation as a performer of both early and modern compositions for the flute. Numerous appearances in major cities have netted him high praise for his virtuosity and for his unique ability to bring fresh insights to the compositions he performs. Among the first questions, I ask my new students is, “How do you practice?” Usually, the student is uncertain about how to respond to the question and, if so, I go on to ask that they begin a typical practice session, just as though I, the teacher, were not present. Often the student is still rather unsure, and may simply begin to play some piece or other, showing me that they don’t really have a regular practice routine. Actually, a daily practice routine is extremely important for any flutist, from beginning student to accomplished performer. It helps to establish musical goals, organizes the various tasks needed in order to achieve these goals, and allows attention to be focused on the performer’s weaker areas. I divide the daily practice routine into six basic steps. It is extremely important to follow the steps in sequence. Step 1 is preparation for Step 2, which is preparation for Step 3, etc. You may wish to add some additional steps, but these, too, should occur in logical sequence. This is a warm up exercise designed to increase the suppleness of the lips. Note that it begins on G, ascends to C, using only the octave and the fifth, and descends to low C. The motion of the lips is least at the beginning of the exercise and is greatest at the end. Concentrate on making the leaps as smoothly as possible. You should feel as though there is no change in the air stream between the lowest and highest notes, and that the lips are doing all of the work. While our space for examples is limited, you might also include whistle tones and as many harmonics as are possible on low C, C# and D. Once your lips are warmed up, you will be ready to focus on the refinement of their position. This step should include a variety of exercises which relate to your own level of achievement. An important exercise is the practice of note quality comparisons. Simply stated, you should find what you believe to be your own best-sounding note, and then try to match the quality of that sound in every other note you play. Most flutists believe that their own best notes are between A and C. (Our example begins on C, but you should begin on whichever note you believe to be best for you.) Remember, this is a tonal exercise, not a rhythmic exercise. Your emphasis should be on the comparative quality of the different tones. Also, be sure to listen carefully in order to keep the pitch constant. While the exercise begins on half steps, as you improve in skill you should include ever larger intervals. Additionally, more advanced exercises that are appropriate include practicing crescendi and diminuendi, modulations of color, and vibrato. After your lip motion is as refined as possible, it is time to add articulation. The basic tonguing syllable is “du” Many less experienced flutists tend to over articulate and, in doing so, may destroy their basic tone and also the musical line. As in practicing long tones, any articulation exercise should be started on the note with which you feel most comfortable. Again, using as our example the note C, we have an exercise for you to try. Ask yourself, “Are the notes I tongue as good in sound quality as are my slurred notes?” As you become more and more comfortable with the exercise, try it with more and more notes, increasing both the range and the intervals. Additional exercises appropriate for Step 3 include double tonguing (du-gu), triple tonguing (du-gu-du gu-du-gu), staccato tonguing, and sforzandi. The most important concept here is that you are always approximating the bowing of stringed instruments. When you lips and tongue are prepared, it is time to focus attention on the fingers. Among the many important exercises which function as finger calisthenics are two octave scales, arpeggios, tetrachords, trill patterns, and chromatic patterns. Space limitations prevent us from presenting specific examples, but remember: a. The fingers should always be close to the keys. b. Include exercises in all ranges of the flute. c. All patterns should be slurred until mastered. When lips, tongue, and fingers are thoroughly warmed up, you are ready for etudes. a. The etudes should not be excessive either in terms of length or difficulty. b. Etudes should include a variety of key signatures. Certain portions of solo or orchestral compositions can be used as etudes. After focusing special efforts on your weaknesses, you are ready for the “dessert” phases of your practice period­ work on solos, orchestral studies or chamber music. The flute has a rich and varied repertoire. For example, one catalog of flute music includes more than 10,000 titles for solo and chamber music. With such an extensive repertoire available, be sure to choose some solos that show your strengths to best advantage, but also be careful to include a wide variety in terms of period and style. Also, include some sight-reading in this phase of your practice session. Always move from the simple to the complex. Focus on one problem at a time. Tone is all important; technique without a beautiful sound is useless. A metronome is very helpful for the technical phases of your practice. Several short periods of concentrated practice per day are often more productive than one long session.